If you’re looking for a cool looking heat reactive mug then you’re in the right place. The company that makes this mug makes what are in my opinion the prettiest designs. The 16 ounce mug is perfect for coffee, tea, and other beverages. 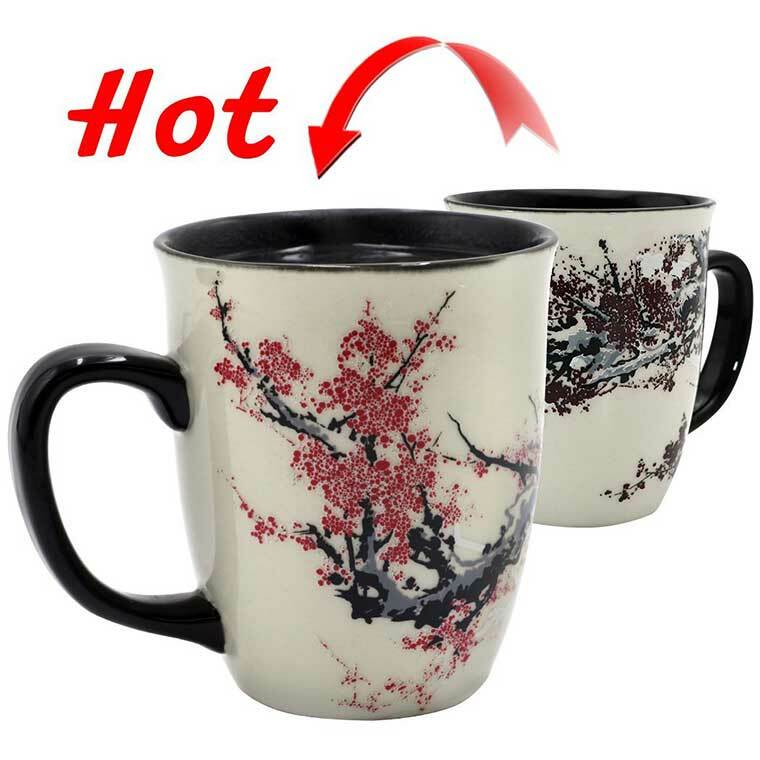 This heat changing mug depicts a beautiful plum blossom tree when hot water is added. When the hot water is added the flowers change from a dark color to a bright vibrant red. Along with a cool design the mug also has a sharp looking curved body, smooth edge lip, and the size is perfect for everyday use. 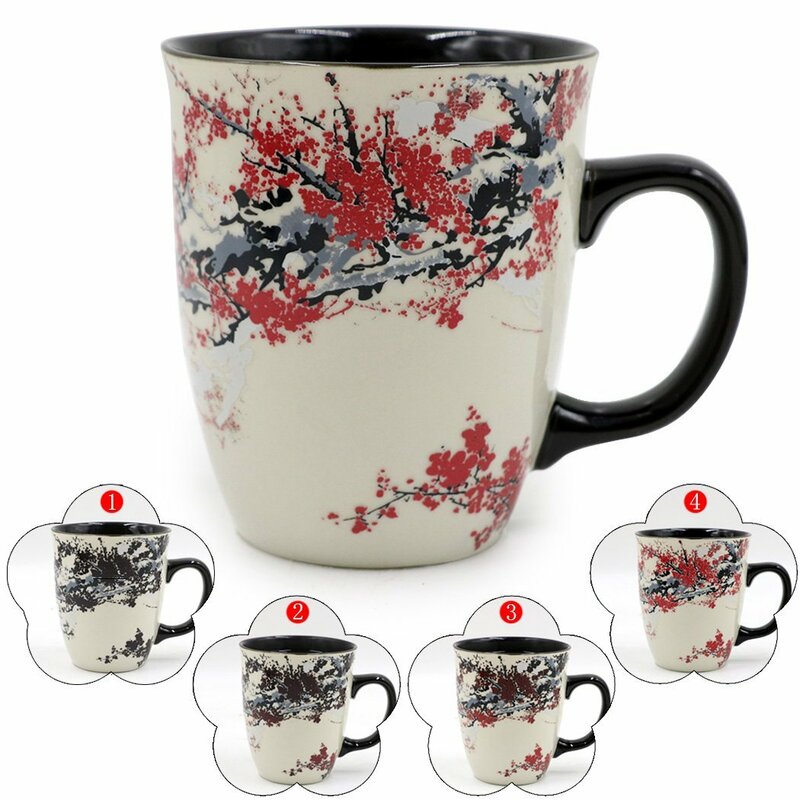 To prevent the colors on the mug from fading it is recommended that the mug be hand washed. Makes a great gift for mom, dad, grandma, grandpa, or anyone that loves hot beverages. They also sell a mug that has a super cool flower design. 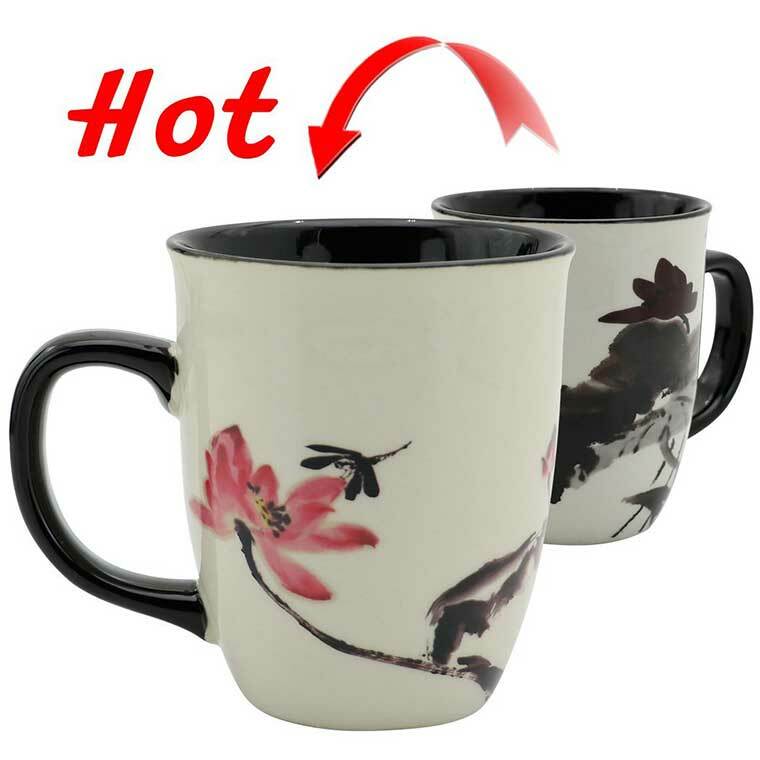 When the mug is cold the flower is dark, but when the hot water is added the flower on the mug turns to a bright red. If you have any questions about this color changing mug let us know in the comments. A mug that changes color with temperature is a gift that will surely be a home run!